Our online advertising services get you positioned in front of your ideal customers instantly. Studies show that business owners who run their own online ad campaigns waste at least 30% of their advertising budget. Our experts will help minimize your PPC costs and maximize return on your ad spend. Your digital advertising campaigns will be managed by the best in the business. 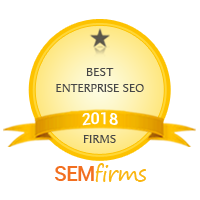 Direction.com is a Google Ads Partner, as well as a Bing Ads partner, which means we hold certifications from Google and have been vetted to offer valuable digital marketing services and a high level of customer service. How’s that for a sales pitch? It’s true that most business owners lose money when they try to manage their own campaign. But before you write Adwords off, you need to understand why this is the case. It’s easy to start using Adwords. Succeeding… Not so much. You can dive into creating campaigns, learning bid strategies, and achieving good quality scores but there’s so much more to it than that. Google’s training tools and the sea of third-party training programs make search advertising look like a system that can be learned and solved. While analysis and campaign management are a huge part of the equation, there’s another critical component that the majority of business owners aren’t equipped with. We set all of our campaigns up with advanced analytics and tracking. This allows us to zero in on the keywords, ads, and landing pages that are generating the most leads to your business. We leverage this data to drastically cut your cost per lead, while also providing critical insights into your target audience. So you need to optimize your campaigns to bring you only the highest-quality traffic, and you need to convert that traffic into real customers. All you need is to be a copywriter, a brand specialist, a web developer, and have a few dozen hours a week to spare. Easy peasy. How about this. We’ll give you an experienced copywriter, brand specialist, and web developer at a fraction of what it would cost to hire them in-house and manage everything without you even having to think about it.